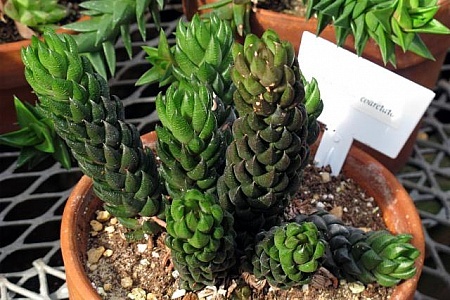 Haworthia coarctata non-cactus succulent plant glowing in small clay pot at Deep Cut Garden NJ. 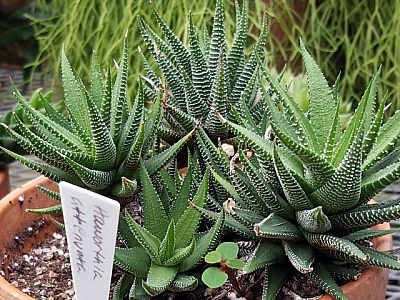 Haworthia attenuata, a non-cactus succulent plant from South Africa glowing in small clay pot inside a hot house at Deep Cut Garden NJ. 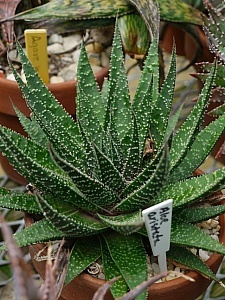 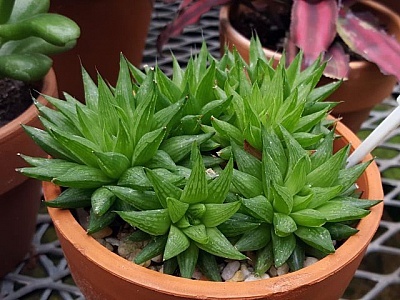 Haworthia reinwardtii, a non-cactus succulent plant from South Africa glowing in small clay pot inside a hot house at Deep Cut Garden NJ.